Animation & Game Camp teaches Computer Science-related topics with an emphasis on design and programming skills applied to creativity in virtual world environments. 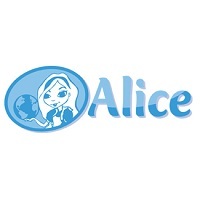 We use the ALICE programming environment (developed at Carnegie Mellon and used by many universities for introductory programming courses) to teach participants fundamental programming concepts, including storage, loops, and parallel execution. Students will build a virtual world environment that they can take home and continue to expand.